CoreLogic announced some good news that will give current homeowners a breath of refreshing air. During the fourth quarter of 2012, CoreLogic said that approximately 200,000 homeowners returned to a positive state of equity, meaning that for the first time in a while these homeowners no longer owe more on their mortgage than their homes are worth. 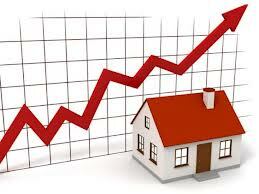 This positive gain is the first as prices have rebounded from a more than five-year slump. In 2012, the total amount of homeowners who were underwater with their mortgage declined by 1.7 million, bringing hope to the many more homeowners who are still upside down. The U.S. housing market is finally starting to take a turn for the better as borrower’s costs remain at record lows and employment rates are slowing improving. This will help fuel the demand for a limited supply of property listings that are currently available. While Utah's market is still doing relatively well, Nevada has the highest percentage of mortgaged properties in negative equity, at 52.4 percent. After Nevada it was Florida at 40.2 percent, Arizona with 34.9 percent, Georgia with 33.8 percent and Michigan with 31.9 percent. Right now the majority of home equity is concentrated at the higher end of the housing market. Homes above the 200,000 range have a lower amount of underwater borrowers at about 14 percent while homes below that amount are almost double at about 28 percent. There are certainly still a good amount of people upside down on their mortgage, but with fewer borrowers underwater, the fundamentals underlying the housing market will continue to strengthen. It's expected that this trend will continue throughout 2013, giving homeowner's a chance to get ahead again.